Ladies, without a doubt thirties are the most hectic time of our lives. In this fourth decade, some of us are riding the fast train on the corporate highway, while others are planning our own families and many are already handling their own brood. Whichever scenario applies to you, undoubtedly you will have a lot on your plate. In fact, there is always so much to do that personal care and particularly skincare often takes a back seat for gals in their thirties. If you don’t already have a skincare regimen in place or have been putting it off for the future, you are actually ignoring your skin when it needs your attention the most. You may still be as sprightly as a teen, but let me assure you that as soon as you went past your 29th year, your skin stopped keeping pace with you. The fine lines, dullness and dark spots here and there are a call for help from your skin. The good news is that you are still in the phase where you can go into rewind mode with the damage and stop what is going to happen in its tracks. So, continue reading to know more about skin problems of the thirties (30s) and the perfect skincare routine to tackle them. The Thirties Skin And Its Issues! The visible skin damage of thirties can be quite startling for most because it seems to come out of nowhere. Right from the discoloration, which was probably caused by the few afternoons that you spent in the sun without sunscreen in your twenties to the more serious hyper pigmentation of melasma, which can be caused by birth control and pregnancy, they all seem to appear suddenly. Then, there is the loss of volume in mid face area that makes the perkiness of your cheeks go away. Fortunately, the angular and slimmer look created at this point can be attributed to the slowing down of collagen synthesis than to the loss of subcutaneous fat. The fourth decade is also the point at which you will start noticing the first few fine lines in problem area such as the forehead, in between the brows, around the nose and mouth and around the lips. If not controlled at this point, these lines will turn into deep creases later in life. The appearance of the fine lines is caused by the slowing down of cellular regeneration and elastin synthesis. 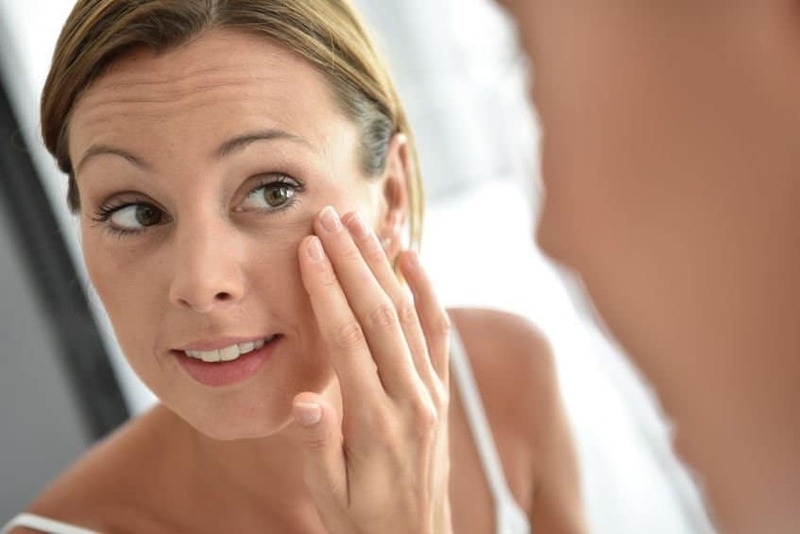 Aside from hyper pigmentation, the most jarring skin problem of the thirties is that of wrinkles around the eyes. Crow’s feet, under eye creases and the beginning of a droop in the upper lids all become a reality by the time you are in your mid-thirties. So, what should you do to counter these issues? A foaming cleanser was a great way to start the day in your twenties but in your thirties, your skin can’t handle the dryness that such a product can cause. So, move to a gentle cleanser, preferably one that contains antioxidant botanical extracts, which will tone down the effects of oxidative stress and inflammation. Another way is to skip the cleanser completely in the morning, but not cleansing of course. Start using raw honey or raw milk. A small jar of raw manuka honey with ½ tsp of calendula extract and ½ tsp of green tea extract will work as your very own anti-oxidant face cleansing formulation. Use it the way you would any cleanser, massaging about a teaspoon of the gooey liquid on damp skin for about 2-3 minutes. Wash it off with warm water and ensure you take it all off because what is left behind will cause pimples. If using raw milk (dairy or almond) soak cotton wool in it and wipe your face with it till your skin is dripping wet. Let the milk stay on your skin for about a minute and then wash it off with warm water. If using a gentle cleanser or honey, remember to use upward and sideway strokes as far as possible when applying and if you have used warm water to wash it off, end with a final splash of cold water. This will tighten the pores. Pat your skin dry with a soft towel as opposed to wiping it. 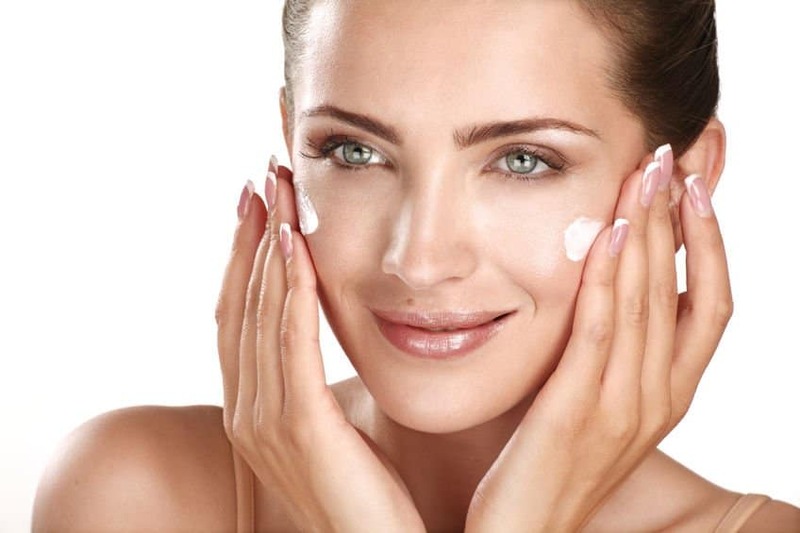 If you have sensitive skin wait for about 15 minutes before applying any other product. If not, go on to the next step. A replenishing toner that contains floral waters and humectants will help to keep the moisture levels high in your skin cells. More fluids means better nutrition and faster removal of toxins. Additionally, plumped up cells give your skin a youthful glow and perkiness. If you have not already done so, your thirties would be a grand time to introduce a serum into your skincare routine. The best product for thirties skin is one that deals with the onset of pigmentation as well as prevents free radical damage. A combination of vitamin C and E offers both these benefits. The inclusion of herbal antioxidants like essential oils and botanical extracts of tea, algae, grapefruit seed, gotu kola and others will definitely offer excellent bang for your buck. If adding an extra step to your skincare routine is not up your alley, you can always find a moisturizer that contains all of these ingredients along with botanical occlusive agents and peptides that will keep the skin’s lipid barrier intact. The thing to remember when using formulations with active ingredient is to only use the prescribed amount. Massage lightly in upward strokes, starting at the décolletage and working your way up to the jawline and from the jawline towards the forehead. The strokes should be light, upwards and circular. 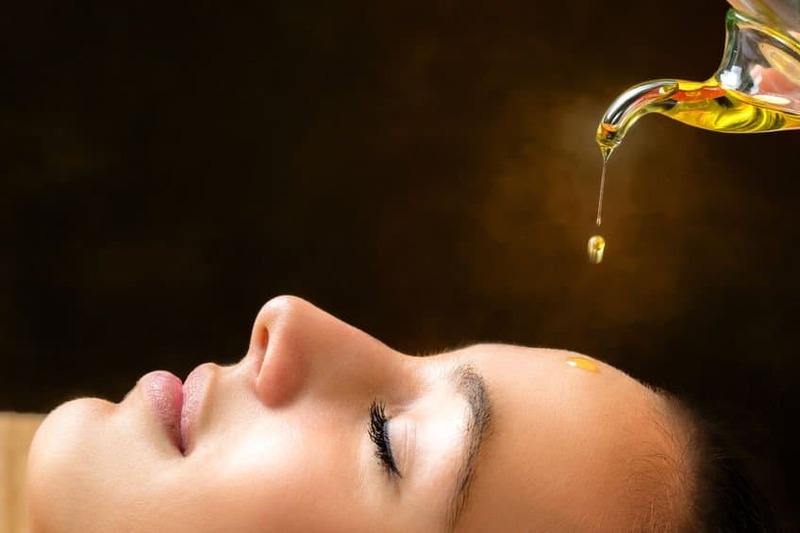 If you have chosen a water/fluid based product, apply a few drops of face oil on top of it to get the benefits of your serum while protecting your skin with just the right amount of moisturization. I could go on about this all day and night and still would not be able to completely stress on the importance of sunscreen. Truly, photo damage is the biggest culprit when it comes to skin aging. So, even if you have used a BB cream or a foundation that contains SPF 15 or 20, apply a mineral powder that will up the sun protection factor, taking it to 40-50. Also, remember to reapply sunscreen every 2 hours when outdoors. In terms of layering, it is best to use your sunscreen on top of the antioxidant serum/moisturizer because the two products will work synergistically to prevent skin damage due to environmental factors as well as sun exposure. The closer you get to your forties, the drier your skin will get. So, before the loss of moisture and lipids takes its toll on your face and neck, deal with the situation proactively with a simple two step midday skincare routine. By afternoon, your skin will be parched and hungry. So, right after lunch treat it to a dose of nourishment using an antioxidant toner, thermal water or pure hydrosol. Apply using a cotton pad or simply spray on your face and neck. If you have spent time outdoors, apply using cotton wool. Dab the fluid all over your face which will help to remove the dust and grime from your skin. While your face and neck are damp, use a light moisturizer to keep the glow going through the day. A formulation that contains fruit acids (AHA) and antioxidants is fabulous for this time of the day. But, a minimalistic soul can also make do with a plant butter like mango or jojoba mixed with geranium or lavender essential oil. Rub between your palms and press all over your face, covering each area 2-3 times. There are two ways to take off your makeup and clean your skin. You can either use a commercial makeup remover followed by a creamy cleanser and exfoliator or you can use oil to get rid of the makeup and the day’s grime. I am sure you don’t need instructions on the first option. For the second, use a non-clogging carrier oil of your choice all over your face just the way you would a cleansing lotion. Wipe with cotton wool dipped in warm green tea or with a damp, warm face cloth. The jury is still out on the right amount of exfoliation for the thirties skin. 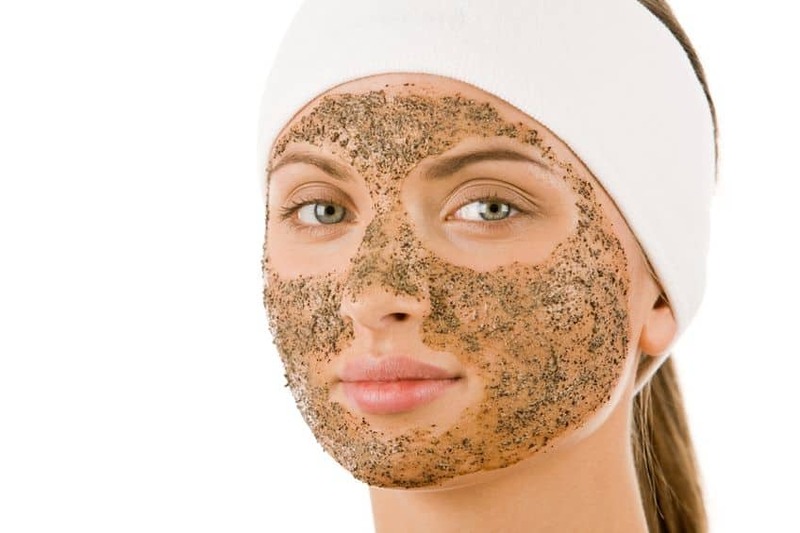 While some experts believe that this is the time to start daily exfoliation, others think it is best to tone down the scrubbing once you hit 35. In my opinion and experience, the middle approach works best. This would be the right time to combine both chemical and mechanical exfoliation for best results. With cell regeneration rates going into a free spin, your skin is going to need some help to get things back on track and keep them there. So, use a cleanser/moisturizer/serum that contains glycolic acid twice a week (only if you are not using any other product that contains AHA or BHA). For mechanical exfoliation, use a mineral based exfoliating cleanser or mixture once a week. So, you get 2 days of exfoliation per week. If you have flaky skin, use a facial brush with the cleanser for deeper penetration of the product. A herbal toner that contains skin brightening and tightening ingredients such as the extracts of licorice root, calendula and green tea will offer exceptional results if used at night when your skin is repairing the damage accumulated through the day. If you have not used one already, thirties is the decade when you are bound to feel the need for it. Unfortunately, the world of eye creams can be daunting simply because there are so many varieties available. 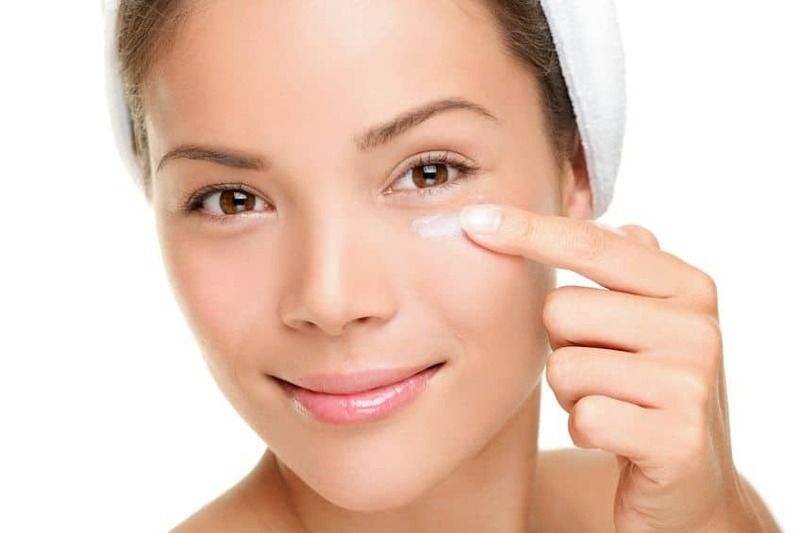 You will find a dozen different products to counter every under eye problem imaginable. You can pick a product formulated to fight a particular issue or stick with the classics of an antioxidant + essential oil based serum for day, which will tackle the puffiness and the wrinkles. At night, use a hydrating and regenerative serum. Apply with your ring finger using gentle taps and work your way from the outer corner of the eye inwards. With your morning serum, you tackled oxidative stress and pigmentation. At night, you need a product that will send your cell regeneration rate soaring while offering protection from free radicals. Let us deal with cellular regeneration first. One of the few ingredients that is clinically proven to help in the faster renewal of skin cells is retinol. Now, a lot of thirty something gals feel it is too early for them to use a retinoid based product. Undoubtedly, the prescription stuff should be left alone. But, your thirties are a fantastic time to start using the OTC stuff, which is the next best thing. In fact, this is a fabulous way to gently introduce your skin to this active ingredient, which is so potent that it takes a bit of time for your skin to get used to it. Choose a serum that contain retinyl palmitate along with nutrients that offer antioxidant benefits like Co.Q10, alpha lipoic acid and soothing botanical emollients. The formulation will put cell turnover in fourth gear and protect your skin from oxidative damage. If you have normal to dry skin, you may want to slather a deep moisturizer on top of any serum/lotion that contain a retinoid as the ingredient does cause some amount of dryness and peeling if used on its own. Just make sure that the moisturizer does not contain retinol. The last thing you need is overtreatment with this particular ingredient. Gals with oily skin need not bother with a moisturizer or night cream if the serum is a light emulsion that contains a few soothing carrier oils. Do not use your retinoid serums if you are pregnant and/or breastfeeding. The skin tends to develop heightened sensitivity during and after pregnancy, so even an OTC retinol product may cause an allergic reaction. Starting your week with a hydrating fruit extract based mask will not only do away with the ill effects of a tiring weekend but will also prep your skin to handle the stress of the days to come. Towards the end of the week, your skin is bound to need another dose of pampering. This time, opt for a deep moisturizing mask, preferably a sheet mask or an all-night oil mask. If you have normal-dry skin, go for 5-7 minutes of facial steaming before the moisturizing mask. 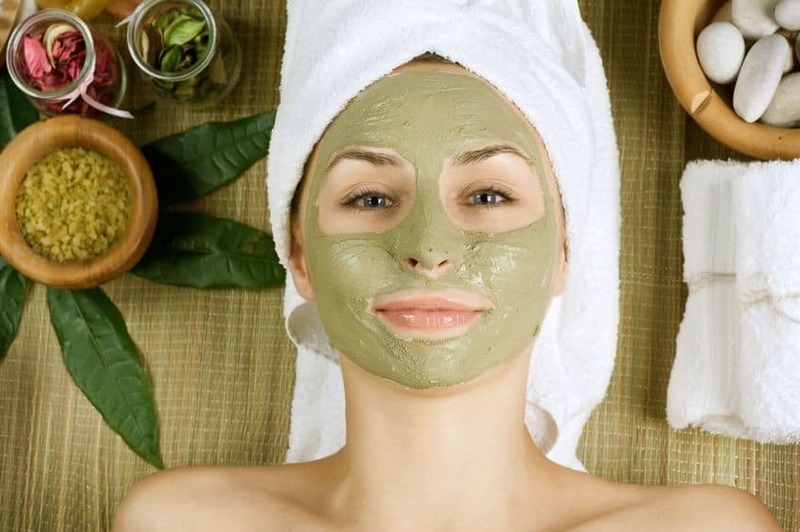 To counter dullness just before a big event, try a face mask only facial. Use a clay mask with fruit extracts/juices to remove impurities and brighten the skin. Wash it off and then follow with a deep moisturizing face mask. Natural as well as birth control related hormonal changes may cause you to experience sudden bouts of adult acne. Particularly, if you have had a tryst with cystic acne in your late teens or early twenties, you run a high risk of adult acne during summers, when the heat, dirt and excess sebum secretion create a thriving environment for pimple causing bacteria. As a preventive measure, use any one skincare product that contains salicylic acid, preferably at night, 3 times a week. Even if you are already using a serum/moisturizer or cleanser that contain an alpha hydroxy acid like glycolic, citric or maleic acid, it would still be a good idea to leverage the power of a deep pore cleansing beta hydroxy acid as well. Just remember to be extra conscious about the use of your sunscreen when using such formulations because they cause some amount of peeling and the new dermal layer that is exposed once the shedding is done, is particularly susceptible to sun damage. As far as winters go, you may be surprised by the increase in dermal dryness as the temperature dips. To make up for the loss of hydration, you will need a replenishing serum that contains humectants like squalene, glycerine and others as well as a face oil that will keep the fluids locked into the dermal cell. You may not need a chemical peel already but a monthly microdermabrasion session either at home or at the salon will definitely help to keep your skin tight and glowing. Try using a vibrating head, sonic or roller ball massager once a day for at least 10 minutes. Your strokes should be upwards and target your face, neck as well as décolletage. This will improve blood circulation and boost collagen turnover. Look for ingredients like vitamin K and essential oils of clary sage, thyme, lemongrass, rose, parsley seed and lavender that strengthen the capillaries and prevent the blue/purple marks caused when these tiny blood vessels burst under the skin. Everything that was water under the bridge in your twenties like a few sleepless nights or a drink too many will have a more profound impact on your skin in the thirties. So, this is the decade in which to let go off your bad habits and vices and make a serious decision to go healthy because no amount of topical skincare will help if you don’t have a healthy lifestyle to back it. Next to sun exposure, stress causes the greatest amount of skin damage. So, indulge in soothing music, meditation, Tai Chi or whatever brings you peace and quiet. In fact, make a conscious effort to not emote with your face when you are angry, annoyed or distressed. Along with your face, concentrate on your body, hands and legs as well. The skin on your hands is just as delicate as the skin around your eyes but it seldom gets the same TLC. The feet have it even worse. 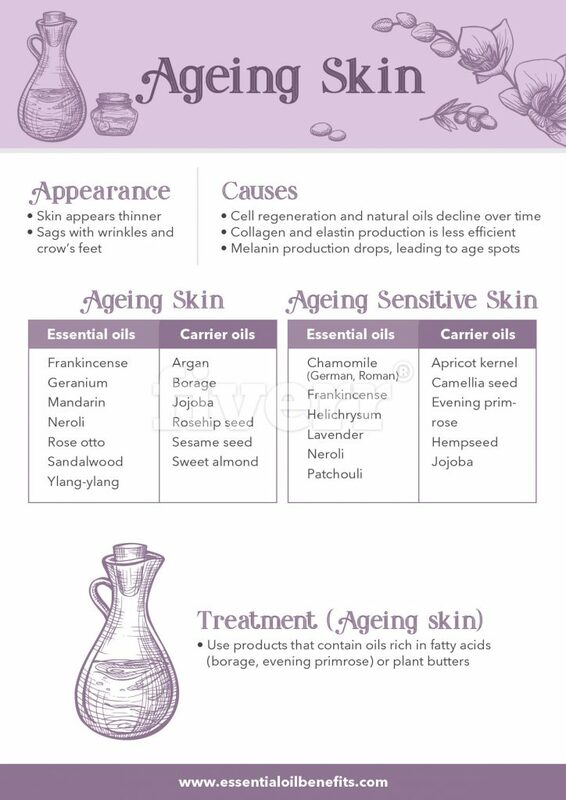 These areas of your body will add years to your actual age if you don’t start using those hand lotions / body butters diligently. The Final Word On The Matter! In the end, the most important thing to remember is to not fret over your skincare routine. Yes, you need to be diligent about it but don’t turn it into a chore or worst yet an imposition. This is your very own “me” time, so breathe deeply and enjoy the indulgence. very interesting and informative. what we have been told in the past is to just cleanse, tone and moisturise. Indeed, these are the basics. The extra steps are equally as important for flawless skin.